This is one of the first pictures ever taken of me holding the "Are You Ready?" cross. One of the most frequent questions I am asked regarding my evangelism efforts with the cross is, "How and why did you get started?" For the sake of time and space, I refer you to the story behind the "Are You Ready?" cross and the testimony of my first experience carrying the cross in public. While there are many different crosses now being used--crosses of different sizes, materials, and colors--you can also find the physical specifications for my cross. 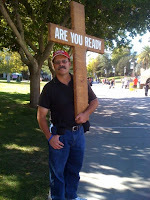 The first time I ever ventured onto the streets of my community with the cross was Sunday, July 12, 2009. It's hard to believe it has been more than two-and-a-half years since that first outing. Harder still to believe is what the Lord has done for His glory, for His people, and for the furtherance of His gospel through the seemingly simple act of carrying a cross with three words written on the crossbeam. What I would like to do in this article is answer some of the most common questions I receive regarding carrying the "Are You Ready?" cross--the "what, where, when, why, and how" of carrying the cross. Some questions are asked out of curiosity. Some questions are asked out of conviction. Some questions are asked out of skepticism. Some questions are asked with an arrogant air of pragmatic disapproval. Some questions are asked with unavoidable and long-held presuppositions in mind. Some questions are asked with a theological underpinning by those who are merely looking for a debate. And still other questions are asked in a passive-aggressive attempt to discourage. This will be a long post, one to which I hope to often refer those who are contemplating carrying a cross, and one to which I hope readers will often refer those who ask questions about "Crosswalking." So, let's get started. The questions appear in no particular order. 1. What do people typically say to you or ask you when they approach you with the cross? "Ready for what?" This is the most common question I receive. And this is why I decided to put these three simple words on the cross. What I hoped would happen has happened time and time, again. 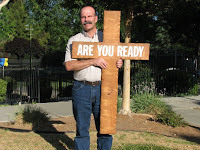 People see the cross, see the question, and approach me to ask the most obvious question, "Ready for what?" My immediate answer: "Are you ready to stand before God and give an account for your life? Do you consider yourself to be a good person?" More recently, in light of the false prophet Harold Camping's false prediction about the judgment of the world, I have been asked, "Wasn't the world suppose to end by now?" My response: "Oh, please don't tell me you are one of those people who believe that nonsense." The looks on people's faces when I answer this way is priceless. They approach me wrongly assuming I believe I know when the world is going to end, and I immediately turn it back on them, making them squirm as they now have to explain that they are not part of Camping's group. Once I've dismantled the haughtiness with which the person asks the before-mentioned question, it is very easy to turn the conversation toward the law and the gospel. Another question I am asked is, "Why are you doing this?" My answer: "I'm doing this so I can have conversations with folks like you, who stop to ask me why I am doing this." 2. What are the typical things, positive and negative, that you have experienced? And what are your responses to them? I have experienced so many things over the last two years, as I've carried the cross throughout the greater Los Angeles County area--good and bad. I've had rocks thrown at me. I've received many one-finger waves. I've heard "Hail Satan" by motorists more times than I can count, and I've been called most of the names in the book (whatever book that is). I've been told by professing Christians that I am judgmental (without me ever opening my mouth). The mere presence of the cross is an offense to them. I've had many wonderful one-to-one conversations with people because they were curious about the man carrying the cross. I know that at least a few people have come to repentance and faith in Jesus Christ, because the Lord chose to use a conversation at the foot of the cross to plant seeds that would one day bear life-saving fruit. Several times Christians have stopped to encourage me. One lady brought me cookies. Another lady stopped to give me a bottle of water. Untold thousands of people, in my community alone, have seen the cross. Some scoff. Some are convicted. Some think back to times when others have shared the gospel with them. Some ask themselves if they are ready to stand before God. And some scowl and then buckle their seat belts. And then, of course, there are the positive things God has done that I will not come to know until I am with Him in Heaven. I have faith, believing I will enjoy fellowship with people I never met on Earth who were impacted in one way or another, by seeing a man on a street corner holding a cross. Sola Deo Gloria! 3. Do you usually stand in one spot or on one corner or do you walk sometimes with it? The only time I walk with the cross is if I'm moving from one corner of an intersection to the next. I've stood with the cross on every major intersection in my community. I've stood with the cross in front of City Hall. I've stood with the cross in front of an apostate church that ordained a lesbian to be the church's "pastor." 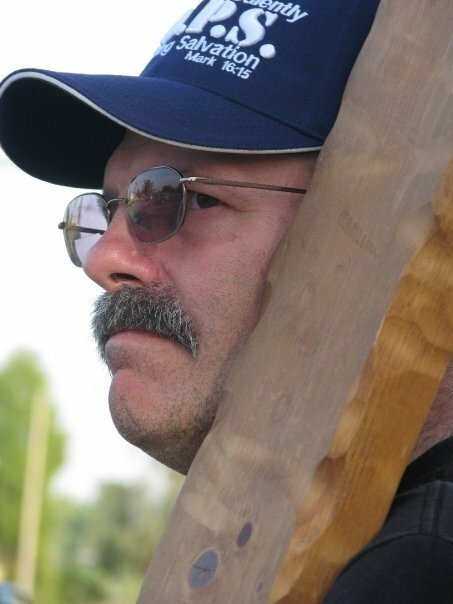 I've stood with the cross at local political rallies. I've stood with the cross at the scene of fatal traffic accidents (post-event, of course). 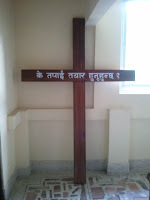 I've stood with the cross near D.U.I. checkpoints. And I've stood with the cross at large community events, such as "Concerts in the Park." 4. How do you begin? Do you pray? What do you pray? Do you read from the Bible? What scripture do you read? My time out with the cross is usually impromptu. Often times, due to my busy schedule and long drive to and from the office, I will spend an hour or so after work out with the cross. Sometimes I will spend an hour out after dinner. I do begin with prayer. 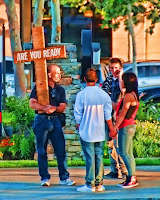 And my prayer time related to "crosswalking" usually takes places while I'm out with the cross. 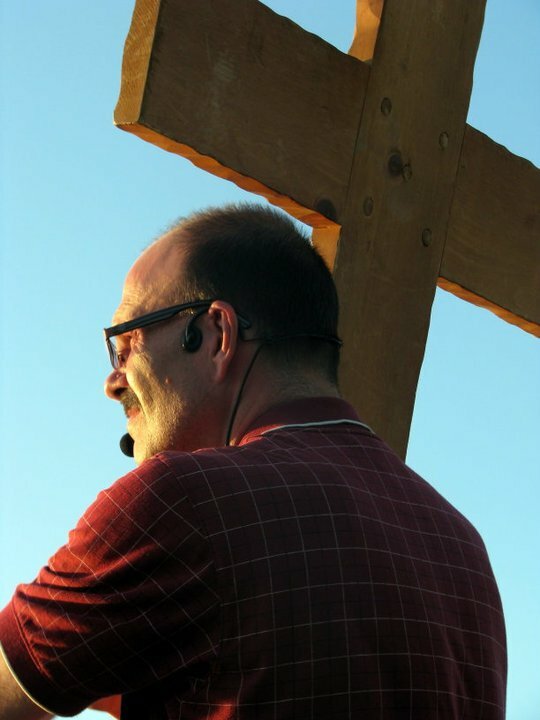 I've spent some amazing times of solitary prayer and worship with the Lord while out with the cross. I pray for the people who will see the cross. I ask God to bring people by my corner so I can put the gospel in their hand or share it with them in conversation. Whenever first responders (law enforcement, fire, paramedic, ambulance) roll "Code-3" (lights and sirens) through the intersection, I pray for their safety and I pray for those they are rushing to help. 5. Do you go out alone? Nine times out of ten, yes. Occasionally, Mahria and/or one or more of my daughters will come with me to keep me company and to hand out some tracts or snap some photos. Again, some times the only time of the day when I have any solitude is when I'm standing on a busy street corner with the cross. But I always welcome the fellowship of my family. 6. What times is best to stand on a street corner? Any time, really. I've been out with the cross morning, noon, and night. I go out with the cross whenever I have time available. The best time of day, however (and this is probably true in most communities), is during the evening commute. This is usually when traffic is the heaviest, giving more people the opportunity to see the cross. 7. Aren't you concerned that an accident will happen because people really rubberneck with or without slowing down to read your cross? Also, what if people stop in the middle of the road to ask you what "Are You Ready?" means but they don't pull over or park? Shouldn't you encourage the people to park and talk to them or shout back and forth and possibly hold up traffic? To the first question, my answer is a resounding "no." First of all, in more than two years of carrying the cross, an accident has not happened in close proximity to where I was standing with the cross. 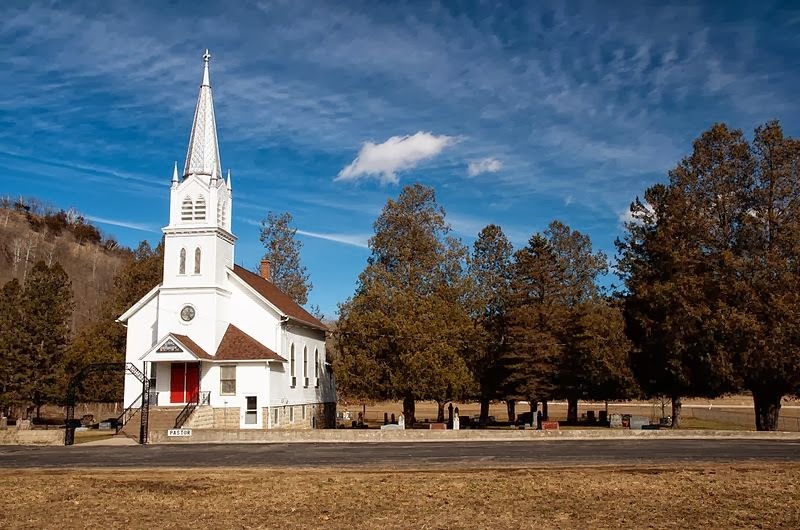 In fact, people often slow down because of the presence of the cross, which actually makes the roadway a bit safer. Beyond that, I have no concern whatsoever about people "rubbernecking" to look at the cross. Have you looked at some of the billboards, lately? Don't. So many of them are disgusting and sexually explicit. Or how about the "sign twirlers"--the men and women who stand on street corners, for minimum wage or less, providing cheap advertisement for local businesses? No, my friends; I would much rather a motorist get a stiff neck looking at my cross than looking at billboards or sign twirlers. On occasion, when I've been out with the cross on smaller, residential streets, people have stopped at a light, rolled down their window, and asked "ready for what?" I answer the question as I usually do, and then I invite the person to pull over, park, and have a conversation. If they do not have the time or desire to do that, I ask them if I can give them something. If they agree, I hand them a gospel tract. I make it a point never to approach a car while carrying the cross. The person in the car does not know my intention, and I do not know theirs. 8. 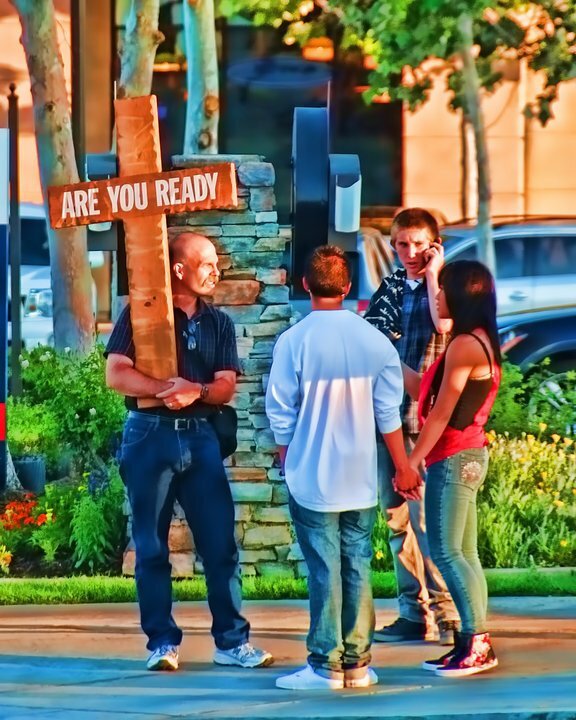 I wonder, sometimes, if standing on the corner with my cross is actually accomplishing anything. A lot of people see it, but there is little foot traffic, so I don't get many one to ones. If you go out to hand out tracts, but you are rejected every time, is it still evangelism? If you go out and try to engage people in conversation, but no one wants to talk to you, is it still evangelism? If you climb atop a box to open-air preach, but you cannot draw a crowd, is it still evangelism? Yes! Too often, evangelism is defined only by the results without giving a thought to the effort behind those results--good or bad. Carrying a cross produces an unknown amount of intangible, yet-to-be-realized fruit. The "crosswalker" has no idea what is going on in the heart and mind of the motorist or vehicle passenger who sees the cross as they drive by. Instead of assuming that the cross has no effect unless the person stops to talk to you, why not hope that the person has heard the gospel from someone else and the cross is serving to water that spiritual seed? Why not hope that the Lord, in his infinite wisdom and power, uses a cross with a simple three-word question to cause the motorist or vehicle passenger to seriously consider their own mortality, which, in turn, causes them to ask a Christian friend questions, or maybe even open the Bible for themselves? I'm not out on street corners with the cross because it "works" according to man's standards. 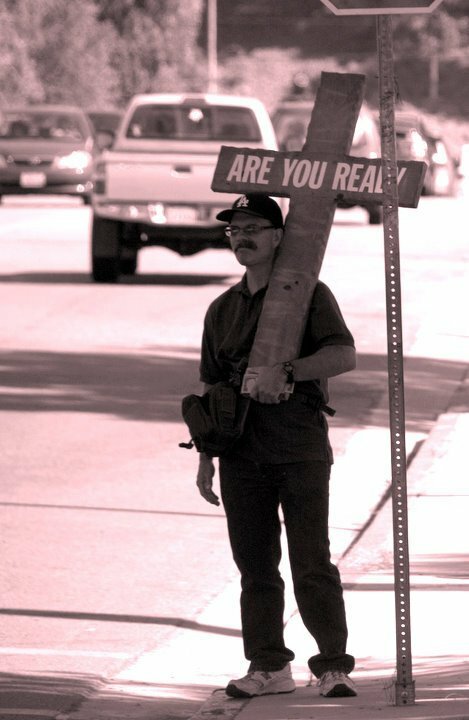 I'm out on street corners with the cross because I believe by faith that the Lord will use it for His glory, regardless of what other Christians or unbelievers think about it. And, for me, carrying the cross is also an act of worship--not worship of a wooden cross; but worship of the One who gave His life for me on a wooden cross. 9. Should you carry the cross when the police tell you not to, but you know the law says it is acceptable via city ordinances and can prove it? Should you fight it with the police and take it to court, or show them the law in writing? Are there laws about the size of a sign or cross that can be carried? I seem to remember someone having an issue with that. Do such laws only pertain to group "protest" type gatherings or any type of sign held? An answer to these questions can be found here and here Best to read the articles in the order given, in order to understand the articles in their proper context. 10. I just had a conversation a few days ago with a brother in Christ who was talking to me about his concerns regarding the cross. He thinks that it will offend people before we even have a chance to talk to them about it. I explained why I carry it, agreed not to bring it to evangelism events that he leads, and everything is amiable. He was open, but skeptical. Perhaps you can help answer that concern. He also mentioned that most people who see it we will not have the chance to talk to, so they will be making assumptions about what it is saying, and we won't be able to explain it to them. This is a simple one to answer. I would simply ask your Christian brother this question: "How do you know that?" His skepticism is based on conjecture and assumptions. 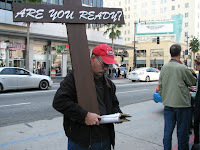 I would encourage him to pick up a cross and see if any of his assumptions are true as a result of his own experiences. And what your Christian brother should be doing is encouraging and edifying you for the effort you are making, instead of being critical of you on the basis of the effort he is not willing to make. Sadly, sometimes our contemporary Christian friends have too much in common with the friends of Job. 11. I don't think carrying a cross is a good idea because people might confuse you with bad street preachers, angry sign carriers, or with discredited cross carriers like Arthur Blessitt. This last question/assertion is, for me, the most discouraging and frustrating of all. Sadly, I have heard it from Christian brethren and evangelists for whom I have a great deal of love and respect. My response: Why give up the ground? Why concede to the enemy? 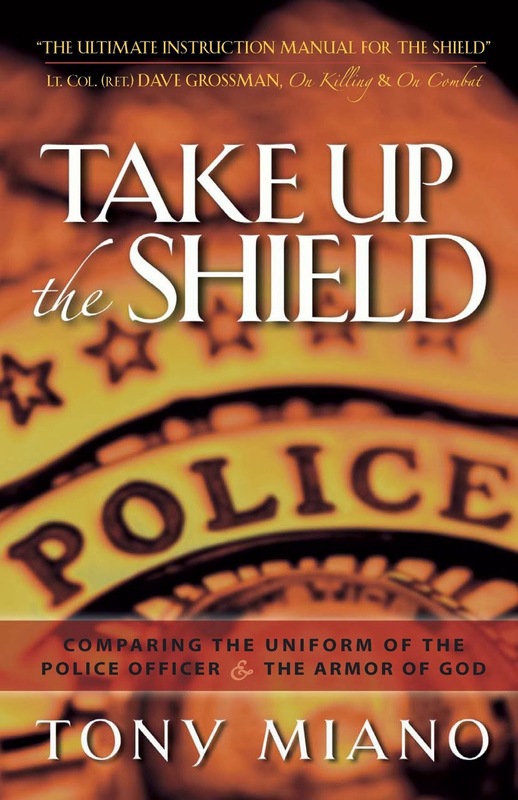 There are heretics who stand on top of boxes and preach false gospels--men and women who are more concerned about creating the next confrontation with law enforcement and/or crowds of unbelievers than they are with where people will spend eternity. Should biblical evangelists stop open-air preaching because there is a chance we might be wrongly associated with the false prophets and false teachers of our day who preach in the open-air? 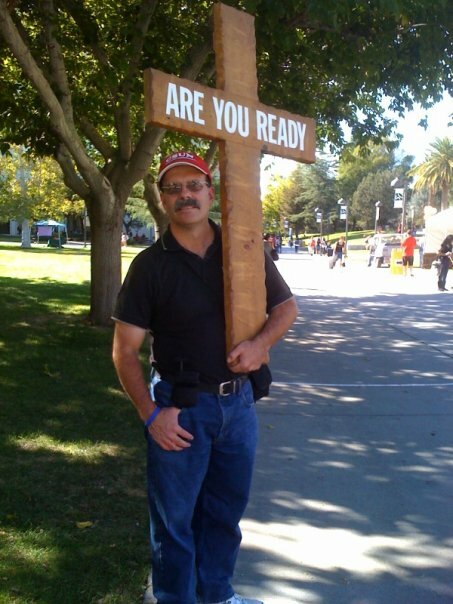 There are false converts who stand on street corners and college campuses with disgusting signs that do nothing more than incite animosity--signs that call people names and speak only of God's wrath and judgment. 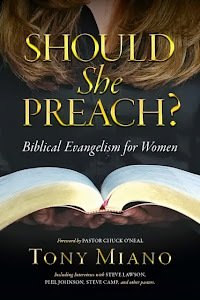 Should biblical evangelists avoid carrying signs--good signs that have succinct, biblical messages in proper context and Scripture verses--because there is a chance we might be wrongly associated with the false prophets and teachers of our day who carry signs? And there are people like Arthur Blessitt who is best-known for carrying a large cross around the world, and who is also known for allegedly divorcing his wife because he "felt led" to do so, which allowed him to commit adultery with his now-second wife. 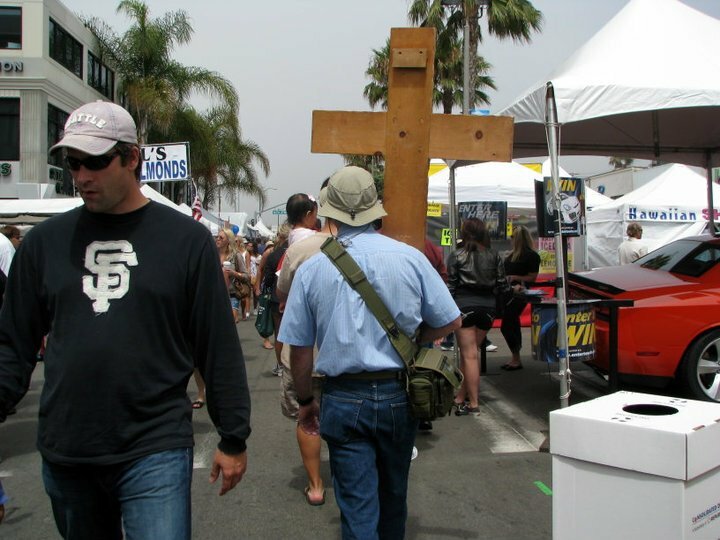 Should biblical evangelists avoid carrying wooden crosses because there is a chance we might be associated with an adulterer who carries a cross? Why give up the ground to the enemy? Why stand aside and do nothing as people sully the name of Christ while standing on a box, or while carrying a sign, or while carrying a cross? Should not the biblical evangelist use all these means and others to herald the gospel publicly, louder, and more often than the heretics, false prophets, and charlatans of our day? Yes--a hundred times, yes! No, I will not give up the ground! Nor should any other biblical evangelist. I'm sure there are other questions regarding the "Are You Ready?" cross. Please feel free to ask them, here, in the comments section. I will answer as many as I can. 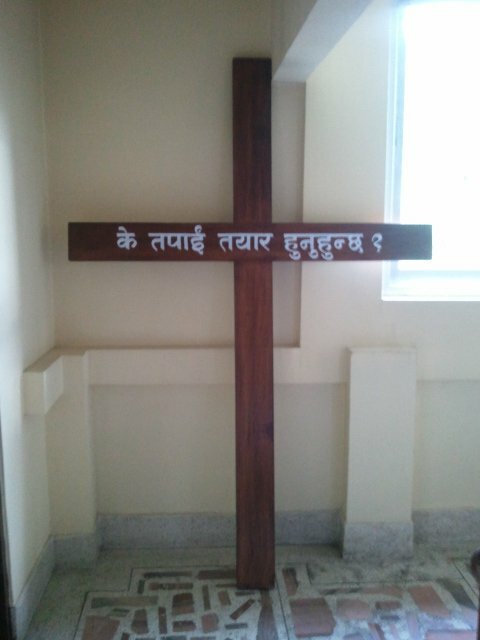 Please pray for the many men and women who are now carrying the cross around the world--carrying crosses like the one to the left, which is carried in Nepal. The Lord is using the "Are You Ready?" cross for His glory. People are hearing the gospel. 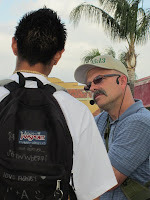 People are receiving gospel tracts. People are contemplating their eternal destination as a result of seeing the cross. While carrying a cross might not be for everyone (and I do NOT fault any Christian who doesn't feel led to or comfortable carrying a cross), it is the right thing to do for me and many other godly, biblical evangelists around the world.